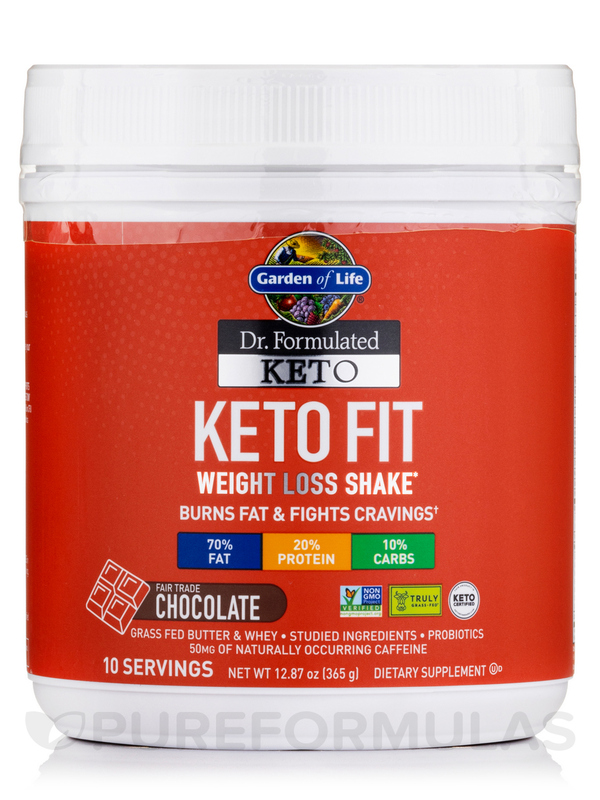 Keto Fit is formulated with clinically studied ingredients to help make your Keto diet and exercise program more effective. 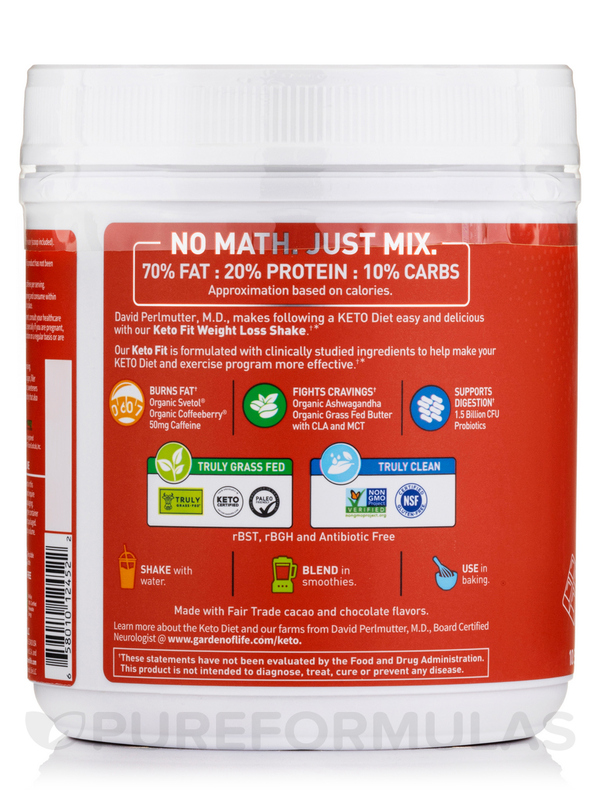 A perfectly balanced keto ratio of fat to protein to carbs‚ Keto Fit is specifically designed with clinically studied ingredients for those looking to lose weight while adhering to a Ketogenic diet. Delicious and easy-to-use in shakes‚ smoothies and baking. Organic Grass Fed Butter‚ Organic Grass Fed Nonfat Milk. 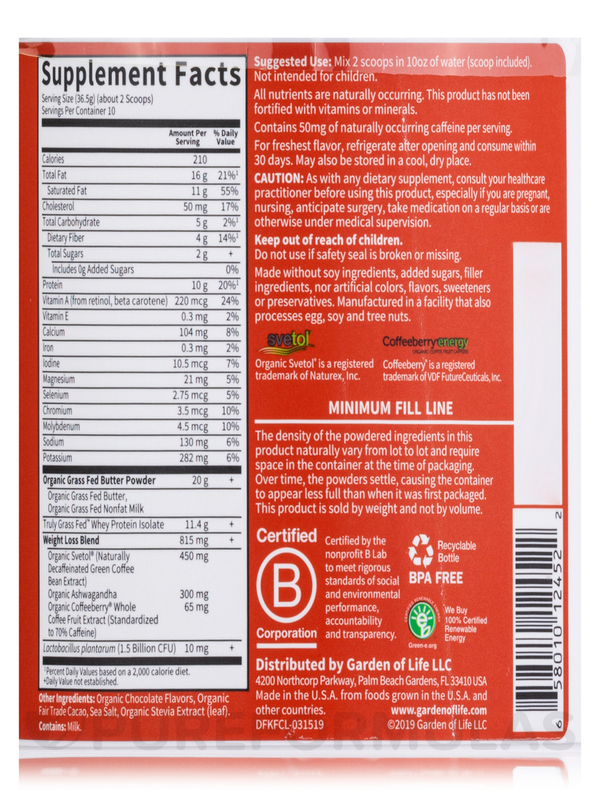 Other Ingredients: Organic chocolate flavors‚ organic fair trade cacao‚ sea salt‚ organic stevia extract (leaf). Manufactured in a facility that also processes egg‚ soy and tree nuts. 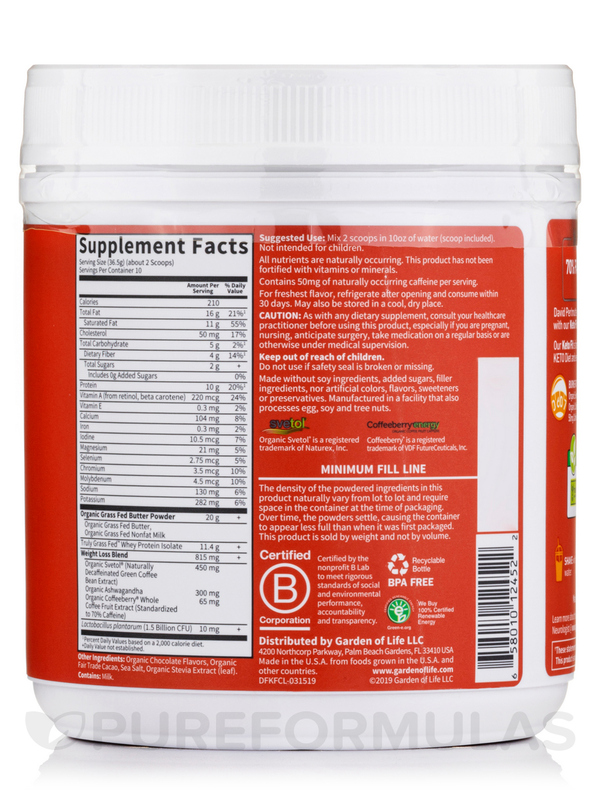 Made without soy ingredients‚ added sugars‚ filler ingredients‚ nor artificial colors‚ flavors‚ sweeteners or preservatives. Made in the USA from goods grown in the USA and other countries. 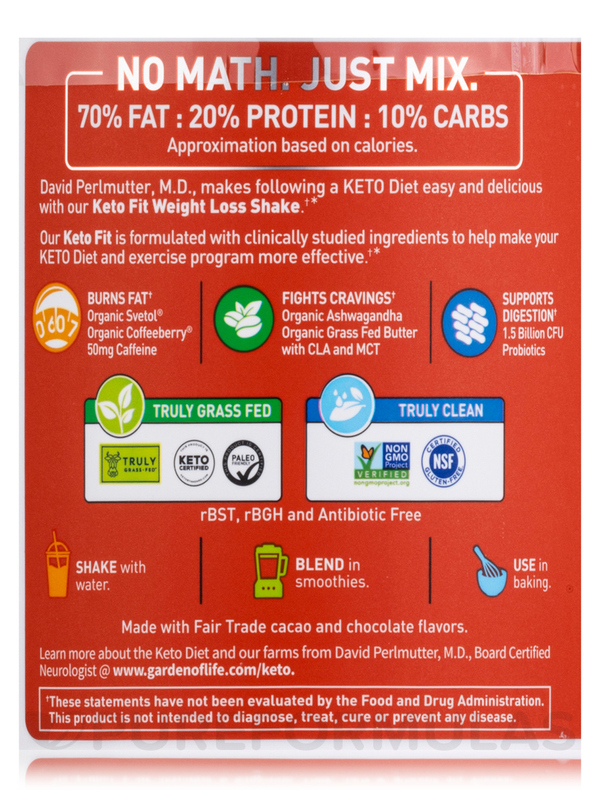 Non-GMO / Keto / Kosher / Gluten-Free / Paleo. Allergen Caution: Contains Milk. Manufactured in a facility that also processes egg‚ soy and tree nuts.